There are 36 posts in this thread, and it has been viewed 12630 times. Nice Will you make more? Thanks. I'll probably makes some more since my son really likes them and it's fun to do (already made Bub from Bubble Bobble twice today). I think I'm going to try and do the ship from R-Type next. I thought about doing some of these at some point too. You should try and do some of the more complex ones. I want to eventually do Simon Belmont (Castlevania 2 version). 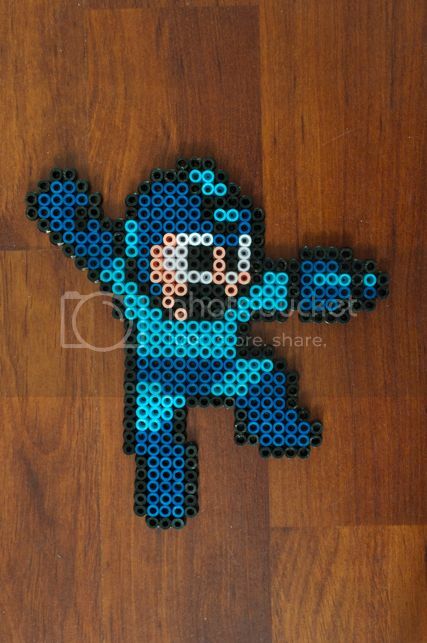 Sir, your Mega Man is amazing!!! Thanks...have you seen this one? It's amazing! Nice work. Have you considered doing the Neo-Geo Pocket version of Terry (or some of the other character)? If you're looking for ease, that one has much less pixels to do. Mega Man came out perfectly, well done! If I tried my hand at this I'd probably start with the arcade Billy Lee sprite from Double Dragon, or maybe the zombie from Ghosts n' Goblins. 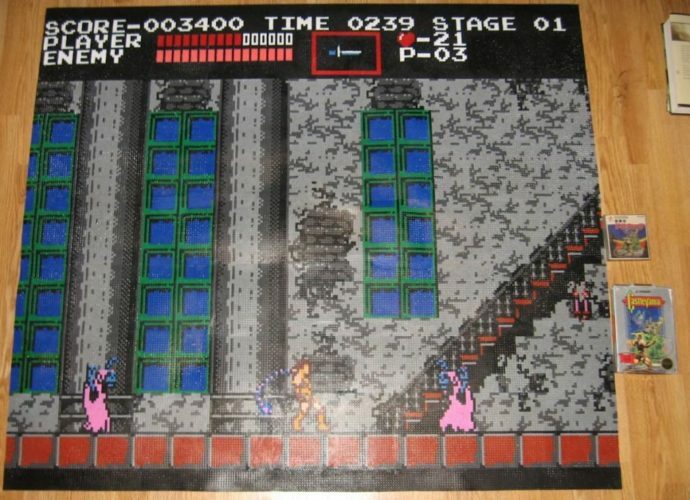 That Castlevania layout is insane! 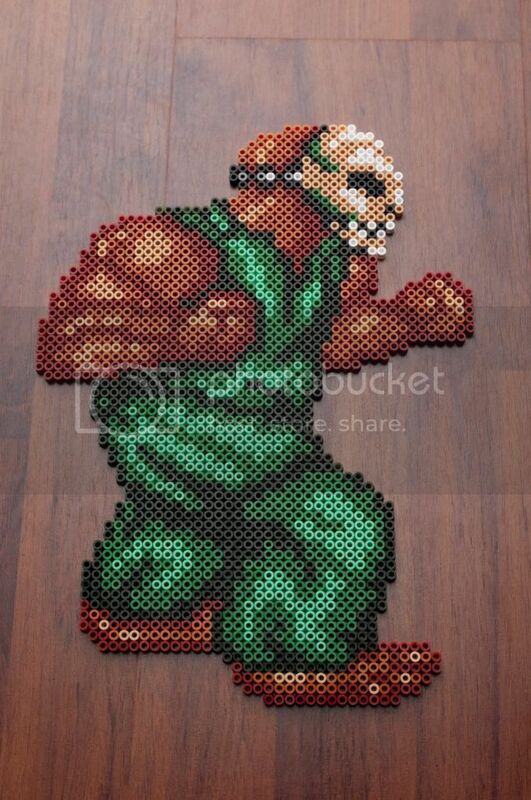 Next I'm thinking of doing Rick from Splatterhouse 2...I found a very nice example. Nicely done! I'm sure your son will be stoked over this one. Looking forward to your rendition of Rick. Just so happens I unlocked Splatterhouse 2 while playing the Splatterhouse remake on my 360 yesterday. Completing chapter 2 unlocked the arcade original, chapter 4 unlocked SH2 and when I finish chapter 8, SH 3 will be unlocked. Honestly, the remake is pretty decent but a big incentive for my purchasing it ($13 brand new on Amazon) was the original trilogy included as bonus content! Wow, that looks great! I can imagine it takes a lot of patience, but it sure worth it. Your son have amazing father cthulhu, keep it up . 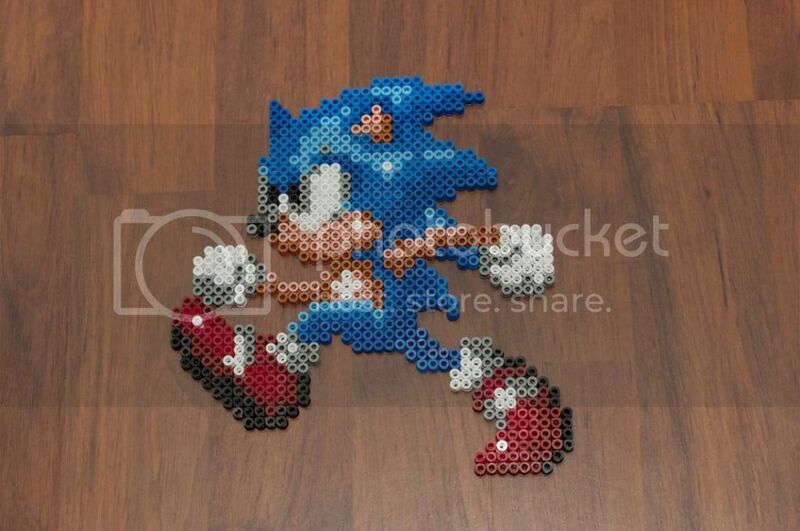 LOL I really need to get out to the store and find some of these beads. I feel like making something like this with my daughter. Finally finished...Rick from the English version of Splatterhouse 2. In the Japanese version the mask looks completely different, less skull shaped. Also what always puzzled me is that in the official artwork in the booklets, Rick is always dressed in blue...in the game he's dressed in green (except for Splatterhouse Part 3...he's finally dressed in blue in that game). 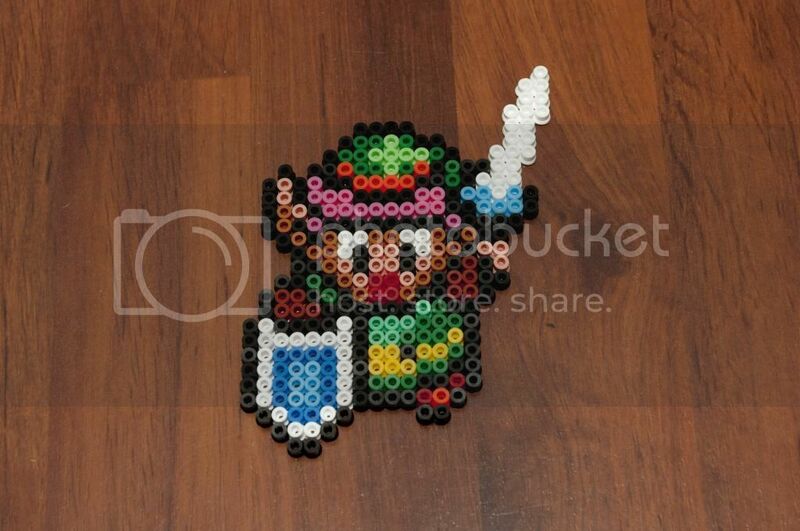 Oh yeah...also made a small Link sprite.